Established for more than the last decade and a half, by this current owner. 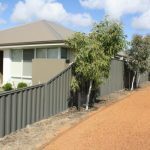 This is no ordinary business, as it is equipped with one of the most effective ways in which to continually generate a very high volume of new inbound client orders for all types of fencing. It has the key management staff in place, instead of owner having this day to day responsibility. With this high volume of client jobs, this is not even a low-priced operator, within the fencing industry, just a well-known, extremely well established and trusted brand (being independently owned and operated – not a franchise or license). This business has one of the most popular names within the industry. The name alone able to attract tens of thousands of clients, per annum to the fold. This is the first time that this operation has become available for transfer to a new owner, as no one let’s go of a great business, for no good reason. They keep a great business over the long term, especially if it is providing a flexible time lifestyle and a great income. The reason for transfer is based upon this baby boomer owner retiring. This business is actually this good, its internal systems set it apart, and makes it easier to manage than most others within the industry. Unique indeed, or maybe just smart modelling, adopted to provide the epitome of a great business ownership and investment lifestyle. This business can be relocated to any location, or absorbed into an existing fencing or related industry business. This remaining a major provider to so many within the fast growing communities of greater Brisbane and Gold Coast. Did someone mention positive cashflow? In this business’s case clients pay a 50% deposit and balance upon installation, deliberately choosing to limit the total number of client accounts granted. Any new owner can rest easy, being supported by receiving these pre-paid deposits. 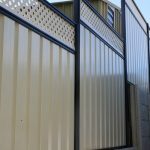 This owner had no prior industry knowledge, training or background within the fencing industry (owner does not and cannot produce nor install any fencing). Being so well established, this business’s history fuels much of its on-going success. Being a product of its past client jobs. This business is a veritable lead generating machine of a business, and even able to cross sell other services, such as soft landscaping to clients (all being outsourced). This business has been so well established over the long term, it continues to reward this owner financially and operationally, who has been made comfortable for years by this investment’s overall performance. Now being at retirement age and having no desire to continue on this growth trajectory, this will be left for a new owner to enjoy. Having relatively low overheads, very low stock holding is required, due to purchasing stock, per client job (and there are many). 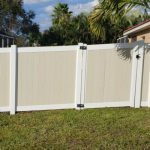 This is quite simply a lucrative and time leveraged fencing product and related product/service business, offering this owner flexible time input. Not maintaining a major role within the business. This endeavour produces profits from mainly inbound, organically driven (plus Google AdWords campaign boosted), new fencing client job requests. Provides a strong cash flow which allows this owner to pay all suppliers upfront! Includes a site supervisor, job scheduler and a sales manager. This is a dynamic business, due to its extremely long trading history. It has built a significant level of trust within the overall client/referrer markets. This business has all that it needs, already set firmly in place and proven, being ready for a new, motivated owner to catapult it into a new level of client attraction and conversion.